Most cases of breast cancer can not be attributed to a specific cause. It is theorized that the majority of breast cancer is due to incompletely understood interactions between environmental exposures and relatively weak genetic influences and one’s lifestyle; such as exercise and the foods we eat. However, in an important minority of patients a strong genetic influence can sometimes be found. The best known such strongly inherited influences are genetic changes in the BRCA1 and BRCA2 genes. The role of these genes in the development of breast, and ovarian cancers, has been known since the 1990s. However, there remain many families who have strong family histories in which BRCA testing has been uninformative. This had led to speculation that a “BRCA3″ gene may yet be discovered. Though a search for a so called BRCA3 gene has been underway for many years a new study reported in the New England Journal of Medicine indicates that a gene called PALB2 may play a more prominent role in causing breast cancers in some families than had previously been appreciated. Testing for PALB2 is now more readily available. For those families where multiple family members have had breast cancer, and previous BRCA testing has been uninformative, PALB2 testing may in some cases provide an answer. Knowing the genetic cause in a breast cancer prone family can help women better understand who in a family may be at particularly high risk and need to take special precautions; and who is at more average risk. Dr Taubman is a graduate of the National Cancer Institute funded program in cancer genetics at the City of Hope and is able to help patients make informed decisions about the role of cancer genetic testing, help obtain insurance coverage as appropriate, and offer advice on preventative strategies. 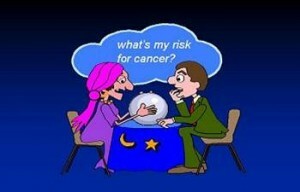 This entry was posted in Cancer Risk Assessment, healthblog by Dr Taubman. Bookmark the permalink.